It's been nearly two years since 's last studio album, The Divine Feminine but the good news is that his follow up is dropping at the beginning August. A lot things has happened since the release his last album including his highly publicized split from and the car accident that followed. Last week, he released the aptly titled single, "Self-Care" and now, he's getting ready to release the second single f the project "What's The Use?" 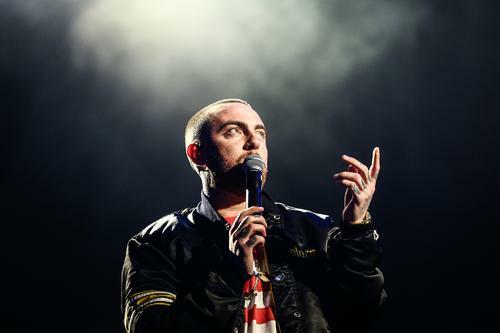 Mac Miller is set to debut his upcoming single, "What's The Use?" this upcoming Monday on Zane Lowe. The rapper sat down with Lowe and shared some details behind the record. Much like "Self-Care," Mac Miller recruited some incredible talent for assistance on the record. The track is production by Pomo with the baseline handled by , but there's more names that helped put the track together. "Dam-Funk. Syd did a background vocal part and so did Snoop. The stuff Snoop sent me was so amazing. He talks like a bunch s*** at the end that I didn't end up keeping but I have to listen to," Mac revealed. "Sometimes I don't know what I want so I'm just like Snoop, just like to talk a bunch s*** and he’s like alright."